The National Day of Prayer mobilizes unified public prayer for America. Let’s keep our eyes on this vision across America. Let’s find ways to create venues, gatherings, and observances involving as many people as possible praying for America on Thursday, May 2. Thousands upon thousands of gatherings, in all kinds of settings mobilizing millions of Americans to pray for our nation. For more explanation about our NDP missional vision, click here. Just be sure you work with those who are the authorities over these places. Most are very open to working with NDP volunteers with the understanding the National Day of Prayer is a real law, an annual observance designated by the United States Congress, and encouraged to take place everywhere on this first Thursday of May annually. 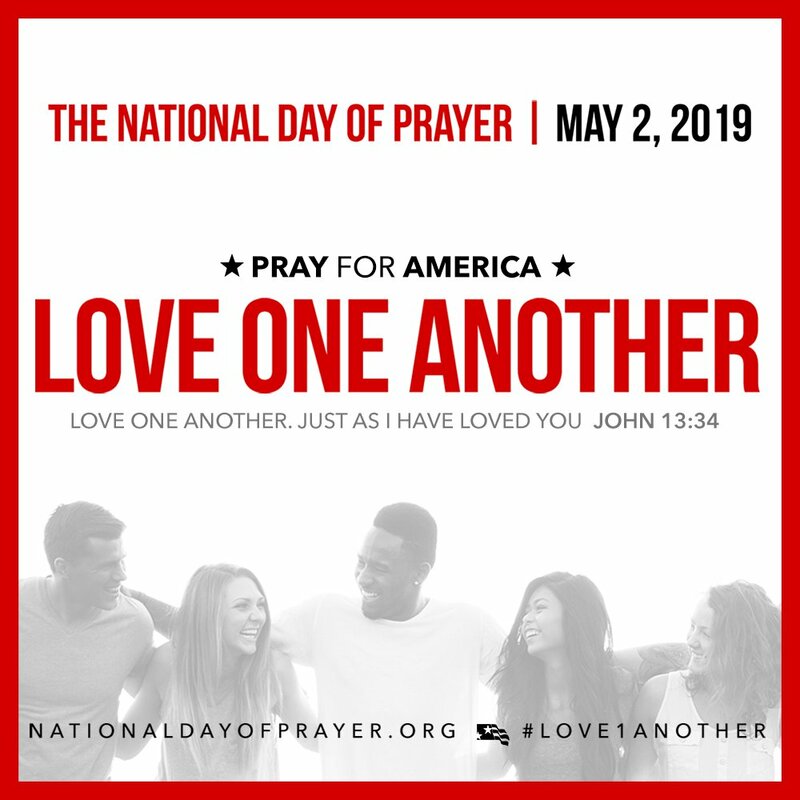 In addition, let’s remember the National Day of Prayer is a multi-generational, multi-ethnic, multi-church, multi-denomination and multi-lingual movement of prayer. Those of you who lead an observance, let’s work to find ways to involve generations, ethnicities, and churches. Each gathering will be different, but each gathering can involve people from all generations and ethnicities. If you want to learn more about this multi-vision, you can view this short video here. This is a tangible and real goal. It can be done and should be done. While many observances will occur across some towns and most cities, we must be sure we cover the regions of the country that may not be as dominate with a larger population. The people in these areas will become highly receptive to this gathering and in reality, can have the greatest influence due to their location. In cities, create multiple observances. How can you have too many observances in major cities across the United States? Too many is not even possible! Watch this short video to see how you can help us reach every town, city and county across America. Pastors and churches, lead the way on the National Day of Prayer in your towns, cities, and counties! This is a fantastic way to give a positive witness about the gospel as well as recognize the Kingdom of God is much greater than your own church or denomination. We need pastors and churches leading the way. The churches are the footprint of God all across this nation, plus what God has created, He wants to use for His glory. Therefore, pastors and churches, lead the way. An observance on the National Day of Prayer is not a political gathering nor does it have any political goals. It is also not about a party or platform, but its sole intention is not just calling our nation to prayer, but actually praying in the observance we create or attend. Denominations, conventions, and networks can encourage the churches and even help equip the churches to participate and even lead on May 2 in their communities. Surely, this is a day, that each of us can get beyond ourselves. We can find a way to work together with others who believe the Bible and also believe that Christ is the ultimate answer for our nation today. Through prayer, churches can come together to pray for our nation. Also, use your influence through periodicals, articles, news briefs, and through your own venues to help get the word out about the National Day of Prayer. Use your social media platforms not only on the actual day of the National Day of Prayer, but also in days and weeks leading up to the National Day of Prayer. These platforms can be powerful and influential ways to speak to all kinds of people and share the power of our theme for 2019: Love One Another. Also, remember to add the hashtag on each post, tweet, or picture: #Love1Another You can also post a link, article, picture, or the actual NDP graphic for this year with our theme Love One Another.